APC in the state made the remark while commending Buhari and Amaechi for the attention given to rail-way projects across the country. A statement issued on Tuesday by the Chairman of the state arm of the party, Davies Ikanya also renamed Amaechi “Mr Railway of Nigeria” for his efforts so far in moving the sector forward. Ikanya reasoned that if the plan by Amaechi to link all the State capitals in Nigeria with rail lines was not a revolution, then Nigerians should educate APC on what revolution was all about? He insisted that the former governor of the state had proved that he was not only a patriotic Nigerian but a leader whose leadership acumen was tested and well proven. The statement reads, “A contract agreement worth US$11.117bn for the construction of the Lagos-Calabar coastal railway line in Nigeria have been concluded and awarded to China Civil Engineering Construction Company (CCECC) to cover Port-Harcourt, Calabar, uyo and Aba and expected to be ready within 2 years. “Additionally, when completed, the proposed coastal railway line in Nigeria will link all sea ports. The project is also expected to create business hubs meant for commercial activities. “Knowing Amaechi and his prudent management of public funds, this project initially awarded at a cost of US$11.917bn by the administration of Dr Goodluck Jonathan was negotiated down to US$11.117bn thereby saving millions of Naira for our country. “Nigeria’s first high speed rails system of 186.5 km standard gauge track built by the China Railway Construction Corporation with double lines, which connects federal capital territory Abuja and northern commercial capital Kaduna had began commercial operations as President Muhammadu Buhari inaugurated operation on July 27, 2017. “The Abuja-Kaduna route with nine stations and travelling capacity of 150km per hour with standard gauge rail lines covering a travelling distance of over 3,421 kilometres when completed would pass through Lagos, Oyo, Osun, Ogun, Benin, Abuja, Kogi, Onitsha and Sokoto, among other states. “The Federal Government would soon take delivery of 17 new coaches and locomotives between now and December to boost rail transportation across the country of which 10 of the locomotives are meant for Abuja- Kaduna rail lines while the remaining seven would go to Itakpe – Warri rail project, which would be ready by June 2018. “Plans are in top gear by the federal government to construct 10 new standard gauge rail lines across the country even as some new coaches had arrived the country. “The 10 new standard gauge rail routes where feasibility studies were being carried out are as follow: The 300km Lagos-Sagamu-Ijebu Ode-Ore-Benin City East-West rail line; Lagos-Ibadan-Osogbo-Baro-Abuja high speed 615km line; Ajaokuta (Eganyin)-Obajana-Jakura-Baro-Siraj-Abuja rail; Additional line from Ajaokuta to Otukpo (533km); and the 520km Zaria-Kaura Namoda-Sokoto-Ileila-Birnin Koni in Niger Republic. “Others are the Benin-Agbor-Onitsha-Nnewi-Owerri-Aba rail with additional line from Onitsha-Enugu-Abakaliki, 500km; Eganyin (near Ajaokuta)-Lokoja-Abaji-Abuja, 280km; Benin-Sapele-Warri-Yenagoa-Port Harcourt-Aba-Uyo-Calabar-Akampa-Ikom-Obudu Cattle Ranch coastal rail line, 673km; Port Harcourt-Aba-Umuahia-Enugu-Makurdi-Lafia-Kuru-Bauchi-Gombe-Biu-Maiduguri line; Ikom-Obudu-Ogoja-Katsina Ala-Wukari-Jalingo-Yola-Maiduguri line and Kano-Nguru-Gusau-Damaturu-Maiduguri-Gamborugala rail line. “Other railway revolutionary projects include the proposed Kano – Maradi (Niger Republic) rail project. The construction and rehabilitation of the Itakpe-Ajaokuta-Warri standard gauge line project that is nearing completion. “We may recall that the groundbreaking for the construction of Lagos-Ibadan standard gauge (double track) 2 x 180km rail line project, awarded to the China Civil Engineering Construction Company (CCECC), was done earlier this year and work had commenced on the site following the conclusion of its funding arrangement as arrangement are completed to complete the rehabilitation of the Western and Eastern lines, carry out addendum for sidings and loop lines on the Western line, procure and rehabilitate locomotives and rolling stock, as well as for the procurement of maintenance equipment. 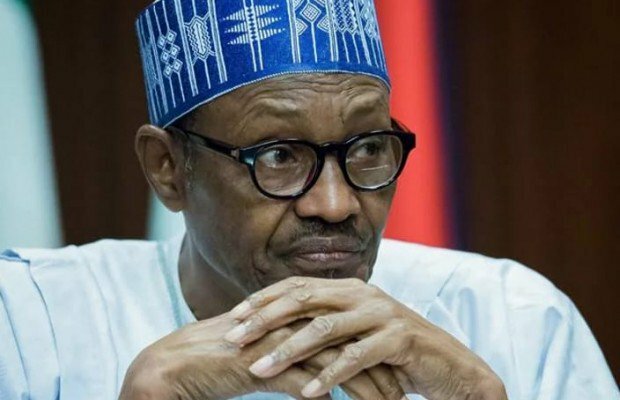 “The Federal Government is making efforts to source for about 16 billion dollars that is needed to actualise some of the Federal Government’s plans for the railway sector, especially the construction of two deep seaports in Bonny, Rivers State and Warri, Delta State, as well as the Port Harcourt Railway Industrial Park. “These concerted efforts to fix the railways will ease transportation of persons and goods across the country secure our major roads and save lives usually lost on most of our high ways. “With all these feats, which leader will not be happy with his performing Minister as President Buhari now sleeps and wakes up thinking about Railway system? “We commend and congratulate Mr. President for all his supports that enabled Mr. Railway to achieve this much in less than two years in office.